ADDRESS: 2811 Mission Road, Tallahassee, FL 32304. Between Tharpe and Tennessee on the curve just north of Gretchen Everhart School. UTILITIES: Tenant pays for all Utilities: City of Tallahassee, Cable T.V., Internet, Telephone, Garbage. Owner or Property Manager will change the Air Conditioning Filters Monthly. LIVING AREA SIZE & ROOMS: Living and Family Room (if not 4th Bedroom). Kitchen and Dining Combo. Oversized Laundry Room with Extra Storage. About 1300 Square Feet. APPLICATION: Written Application. Rental History, Employment & Income Verification, Credit Report, etc. $50.00 (Cash or Money Order) Application Fee per Person or Married Couple. This is Non-Refundable. PETS: Pets under 30 lbs. may be considered. There is a Pet Application and Interview with the Pet. Pet Fee varies with the Pet ($250.00-$300.00 per Pet). This is Non-refundable. With pets, the tenant must have a Tenant’s or Renter's insurance policy addressing Pet Liability. 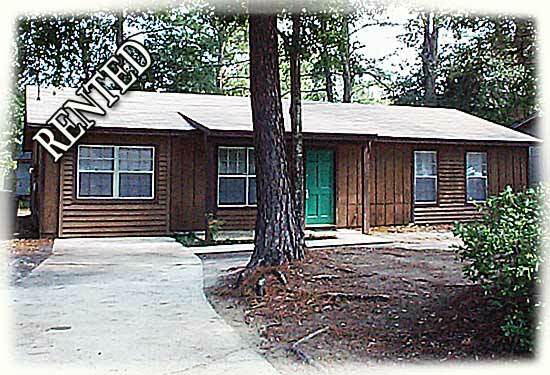 AMENITIES: Close to Shopping, TCC, FSU and FAMU. Tile Floors in Living Room, Kitchen/Dining, Laundry & Hallway. Carpet in Three Bedrooms & Family Room. Kitchen Appliances are newer. Security System if tenant wants it on ($30.00 +/- per month). Call 850.894.1607 for Appointment to View, Application and Interview.